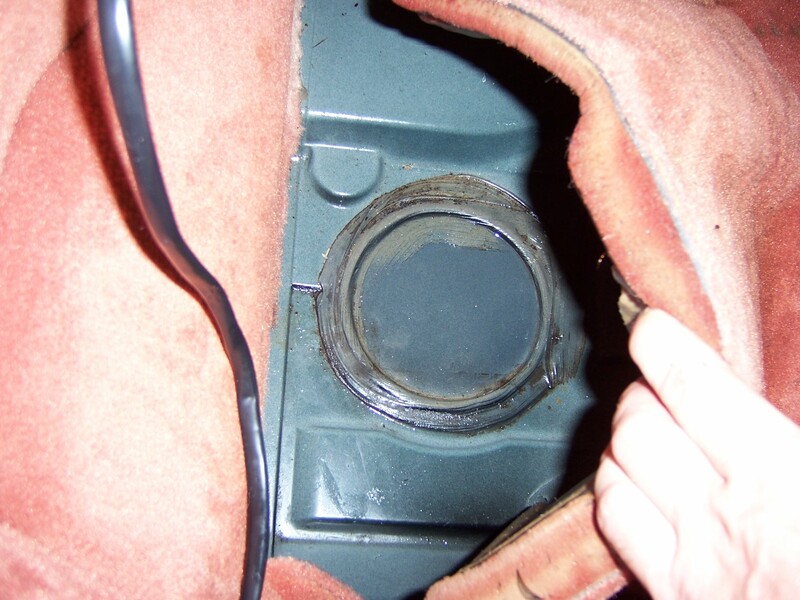 Water behind seat - Drain hole clog fix - Seat Heat elements? A week ago, I noticed a damp smell and window fogging, sure enough, water soaked carpet at floor behind passenger seat. No problem driver side. Searched posts, noted probable drain hole problem, sure enough, under the clamshell (checked with clamshell in complete open service position) the drain hole in the foam surround part had leaves and gunk stuck in it. Picked at it with fingers and vacuumed, tried to poke further with wire hanger, would only go 2" deep. Hope it is cleared. Removed seat completely to tend to wet area. 4 torq thingies, did not have the right size, 10mm socket worked fine. Weird plug under seat (typical uber-super german engineered plastic plug) unplugged. I will report back once finished so the job can be logged as a thread. but they were only connected (wired and switch) if you ordered the heat seat option. If they are there, so, I would like to wire them up and install a switch myself, will do driver seat at same time. 2- Any ideas on how the wiring works? into anything (and some electrical tape on the wires, which is not factory, meaning someones been under there before me...:). 3- Does anyone know if this is the heat element switch on/off plug? I the plug in heat seat with a new switch is a possibility, I will document process for others. Closer look at the drain hole, an extension of the foam into a drain. Mine is ripped a bit on the edges, will patch with duct tape and/or silicone. Pictures to help anyone else through this in the future. 1- Does anyone know what interior color I have? Paint/Interior code is L741 (Black) and A1, I could not find A1 on any interior color charts. Carpet pulled back, area was sopping wet. halogen spotlight. Protect leather and plastic areas close by from heat. What is see is mixed up pictures. The white connector is for an aftermarket rear speaker kit. 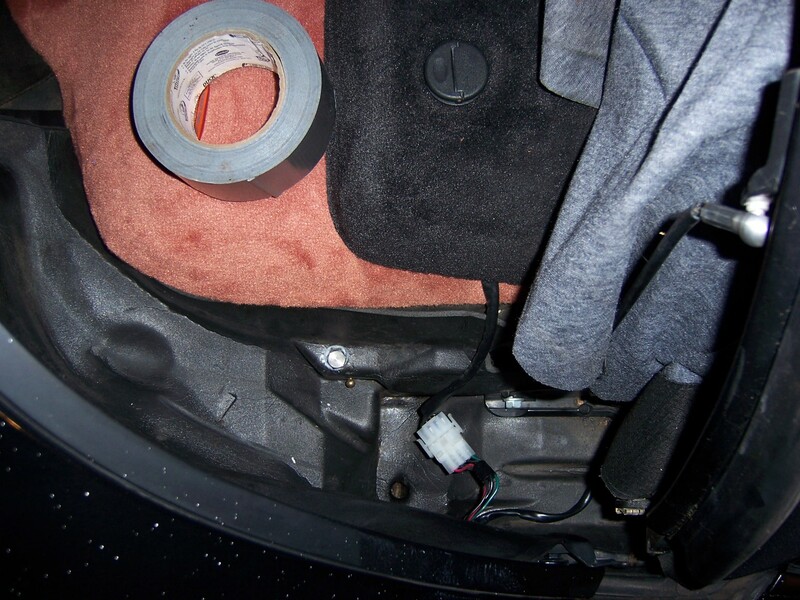 The black plastic covered wires behind the passenger seat over to the center console are for the rear speakers. 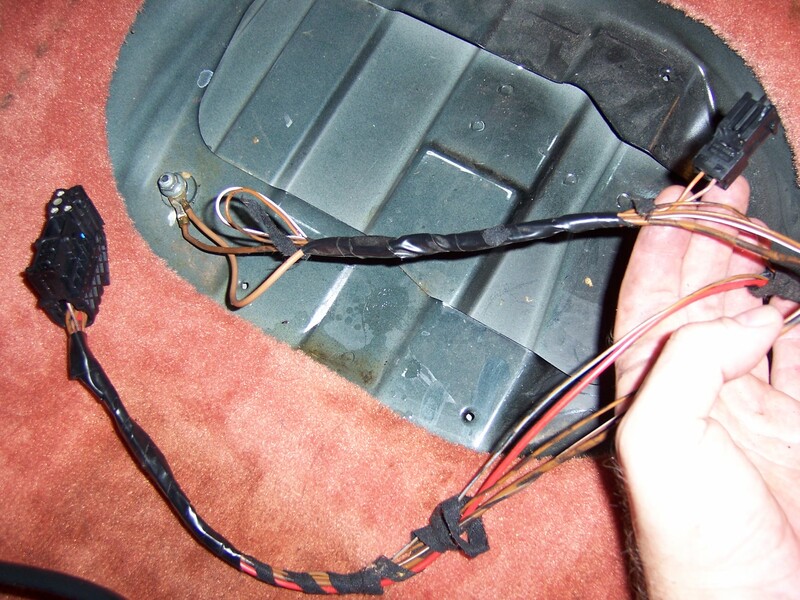 The 2 wire connector under the passenger seat is for the child seat air bag deactivation. Wiring, possibly for heat elements? Here is a closeup of a 2 prong plug, factory markings on it, 2 thin wires leading somewhere into the bunch, brown, and white stripe. Unused 2 prong plug seen up to the right, with 2 thin wires, lead into taped bunch. 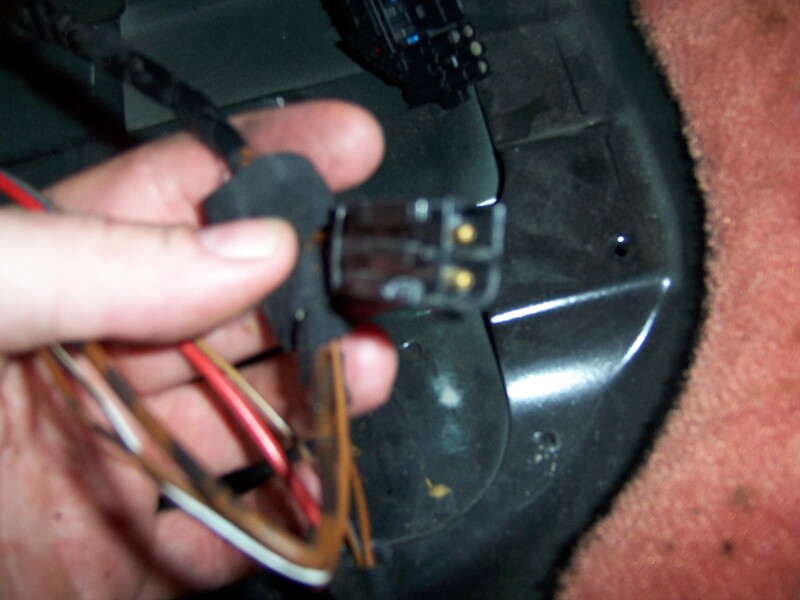 Some wires come out from under the carpet, one thick red is prominent, probably + for all, including seat motor. Some wires probably for seatbelt warning. 2 Thick brown wires that are attached to ground (left side) going into the taped bunch. Electrical tape is not factory, may have to open er up see what's goin on in there. I can provide more detailed color codes/pics if needed. 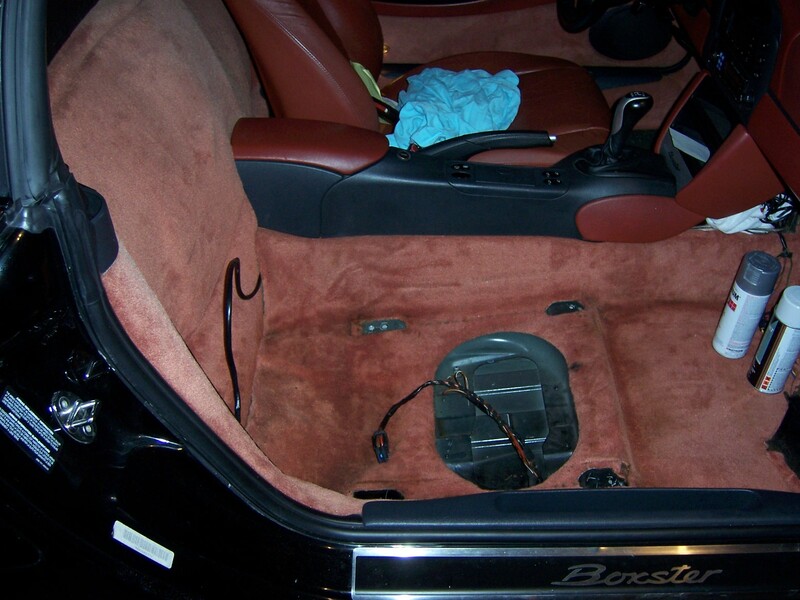 Thanks for the notes, yup, have after market speakers in rear and black wire is that too. Pictures shown to help anyone else with drain hole location/problem. 2 Wire connector under the passenger seat is for child seat air bag deactivation? Wow, would not have thought of that! So does that nix the heat element hope? Any clarification on the seat heat element possibilities appreciated. Does anyone know what interior color I have? For your model year the only interior that looks close to me is Boxster Red. Leather will have a different color code than carpet, etc. If you want to know what options came with your car from the factory - then PM me your VIN and I'll look it up. 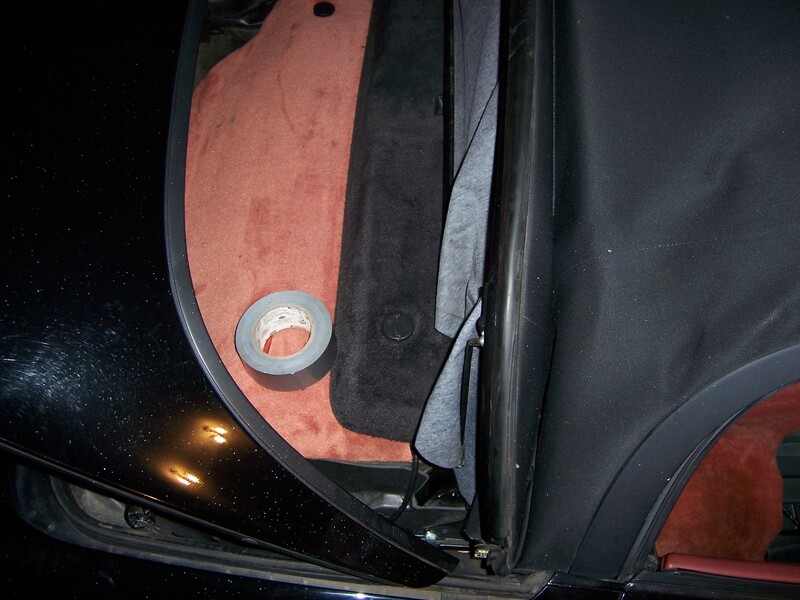 I bet the black PVC electrical tape is because you car had an air bag light fix. Has anyone tried using a dehumidifier to dry the carpets in place instead of taking them out? It was a suggestion from the OPC. 1- Water problem was indeed clogged drain, 100% fine now. Set on low, moved it around a gew times, left overnight. 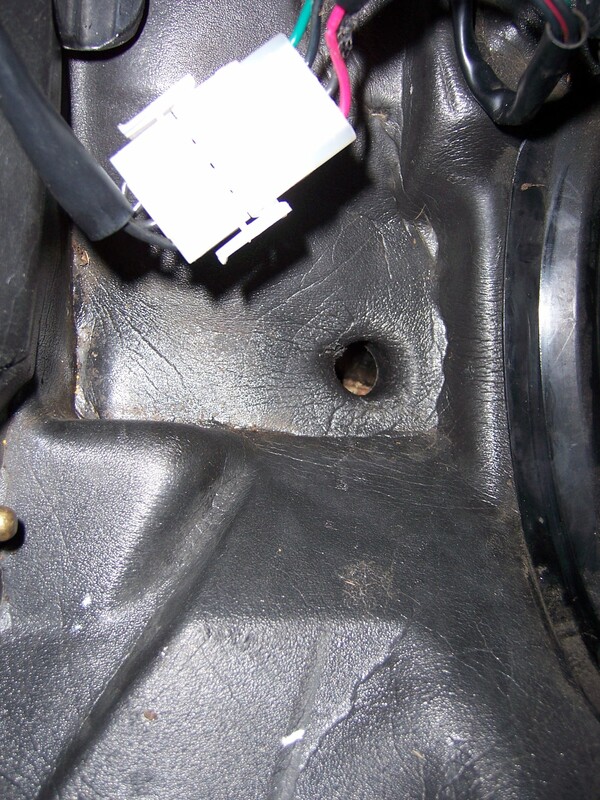 3- Tool Pants - I have reconnected the seat, and low and behold, the AIRBAG light is now on! I wonder if indeed, the taped up part has to do with this. I'll look up posts on how to reset air bag light.